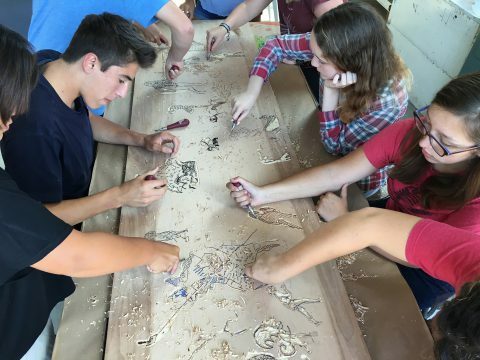 Welcome to the Oxbow Summer Art Camp, a unique experience for rising 9th-12th graders who love art. At Oxbow, we don’t do busy craft projects. 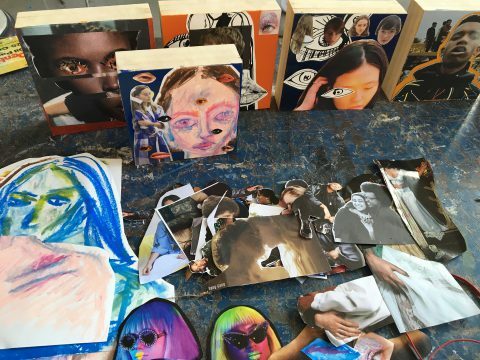 Our art-immersion program encourages the exploration of each student’s creativity and vision. We provide campers exceptional instruction in the fundamentals of a variety of mediums. 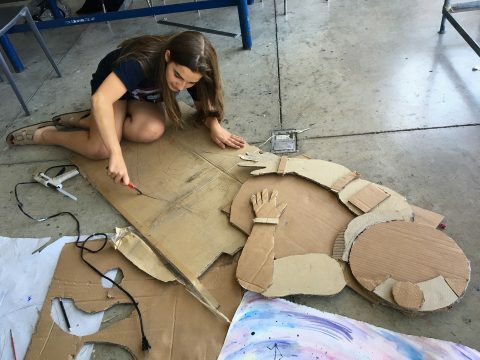 Students then have the opportunity to design and create their own projects. Campers benefit from the Oxbow philosophy that there is no limit to what they can create given an environment of high-level instruction, encouragement, and support. Campers return home with concrete evidence of their progress and the realization that they are capable of making great art. View/Download our 2019 OSAC Brochure. Please also visit our "Registration" tab for more information about tuition, financial aid, and more. Based on the Oxbow semester model, camp focuses on creating project-based art in a wide variety of media. 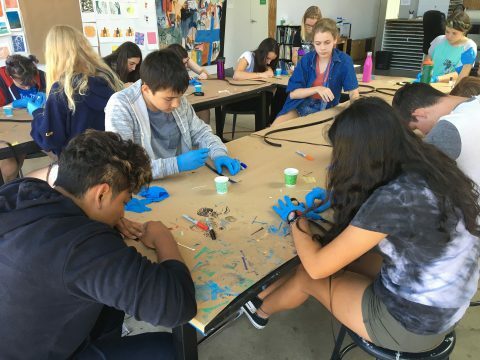 Taught by professional teaching artists, campers will first explore the fundamentals in drawing, painting, sculpture, printmaking, photography, and video. At Oxbow, campers are encouraged to find and develop their own particular interests and voice. 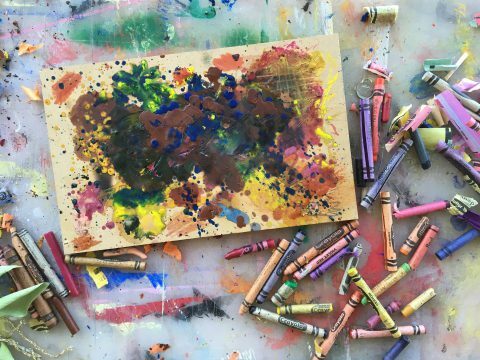 During this time, campers are exposed to a wide variety of artistic styles and artwork. They will engage in discussions on why artists create and where they get their inspiration. In the second half of camp, campers propose a "final project" in the medium of their choice around a topic that has personal relevance to them. The remainder of studio time is devoted to bringing that piece to fruition. 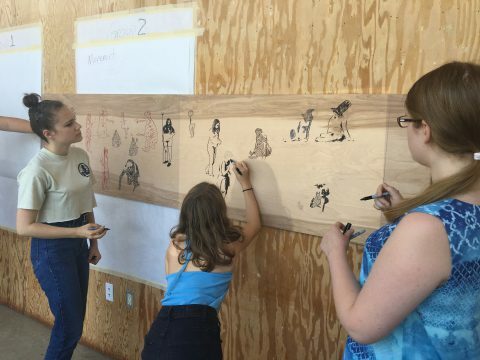 Along the way campers learn the steps of the artistic process from idea to creation, peer feedback, reflection about their process, and how to present their piece. 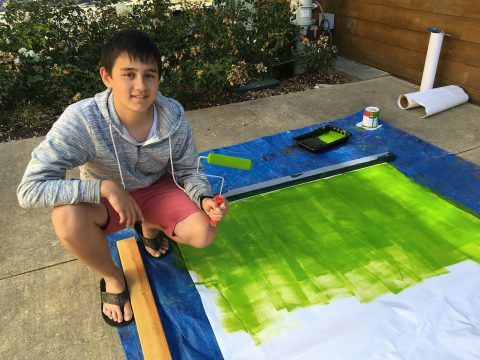 Though art is our emphasis, we know it is summer and time for outdoor fun. 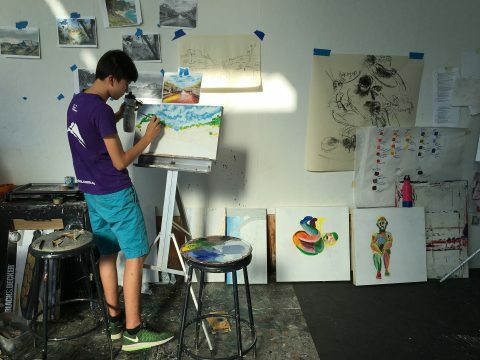 In addition to lots of studio time, Oxbow campers will enjoy plenty of other activities including recreation, athletics, field trips, fabulous meals, visiting artists, evening programs and personal time for making art with their friends. 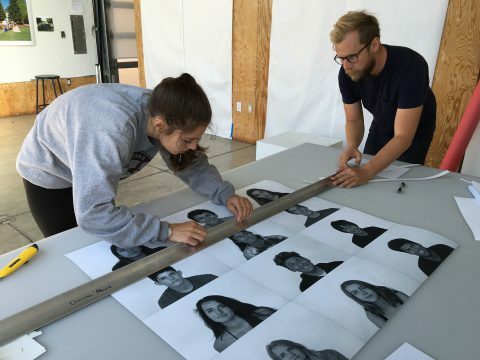 At Oxbow, teens’ creativity is nurtured and explored. 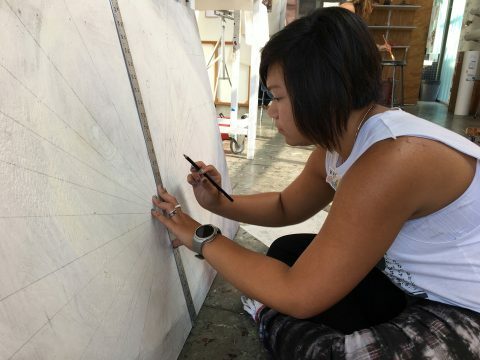 Students come away from the program inspired by what they've seen and learned. They have developed enhanced art skills, life-long friendships, and personally significant artwork. *Family and friends are invited to come to the final show on the last night of each session to view and celebrate the camper's accomplishments.